Republic Coffee Traders seem to be one of the few cafes that open on a public holiday. As mom is super keen to visit a cafe before they fly back to Penang, I took them there and RCT blended well among the industrial shops or company in that area. Street parking was plenty that day. They have an all-day menu and I certainly had a difficult time deciding what to have for breakfast! Everything just seems so interesting and attractive. 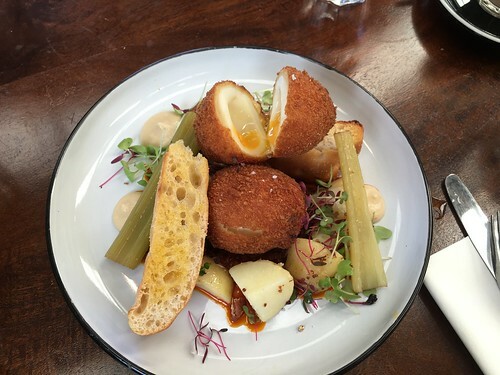 Anyhow, the word 'crusted egg' caught my attention and I could not steer away from it. Mom and grandma shared the omelette with pulled duck. 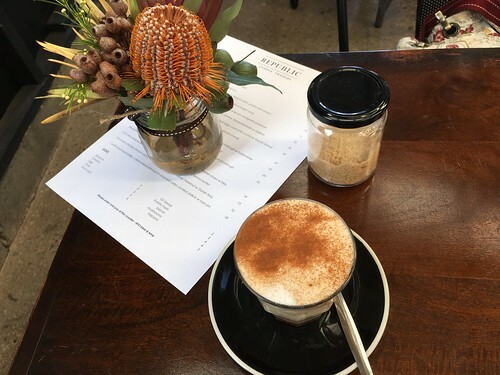 But first off, a cup of latte for grandma and cappuccino for mom while I had the chai latte. Grandma is certainly keeping herself updated with the current trend of drinking coffee and not having her usual 'kopi-o' aka black coffee that she usually get from the hawker stores back in Penang. Soon after, our meals arrived and they were beautifully presented. The crusted egg still has a gooey egg yolk and has crunchy crispy breadcrumbs. It could be better if it was scotch egg instead! As for the duck omelette, grandma and mom enjoyed it. 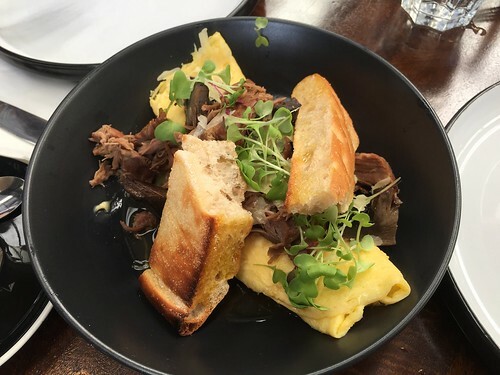 The omelette was fluffy and the pulled duck was flavourful and tender. Grandma was certainly keen to have more! We enjoyed our time and meals in Republic.